Hi merrygoers. Time for another #MiriamEats session. These past weeks seem to be a lot of eating sessions that I sure am starting to put on weight but... when good food calls, you'll find me there. 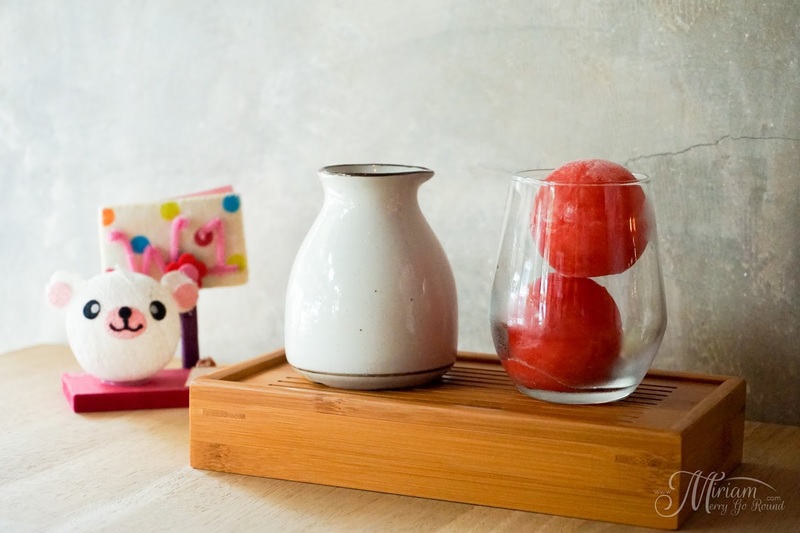 If you are one of those who folllows food trends, you might have heard of Mizu Shingen Mochi or commonly known as the water mochi. One of the first cafe serving this unique dessert is Minamotonoya Cafe which was previously located at Glass City, Bandar Sri Petaling. 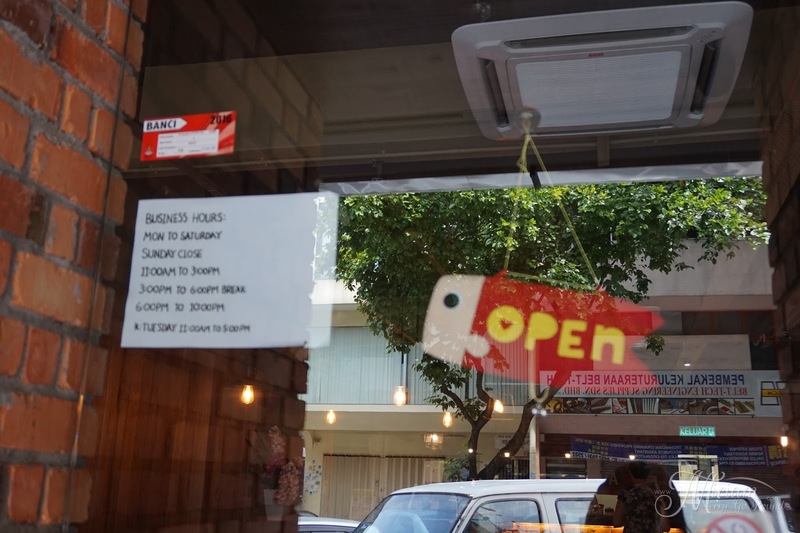 After relocating to another location nearby, I finally had the chance to stop by and try their adorable water mochi as well as some of the other Japanese dishes they have to offer. While waiting for our main dishes to arrive, we were first served with their latest drinks which are the Ice Hill Mojito Sphere (RM15.90). 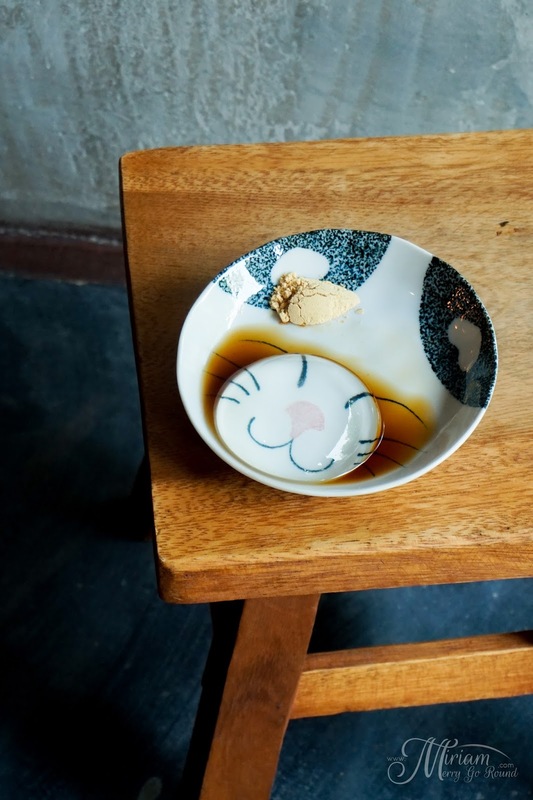 Chef Nexus Wong sure has a lot of tricks and gimmicks up his sleeve and you can see it from this new drink. This mojito takes form in a frozen sphere where soda water is then poured over the ice sphere before enjoying it. 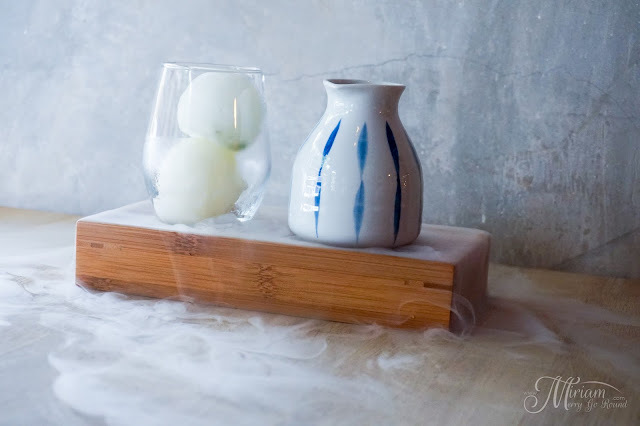 Not only that, dry ice is used in the wooden compartment underneath where lemon-infused water is poured over it releasing a refreshing lemon scent as the dry ice melts. This drink definitely refreshes your senses and you cannot deny that the overall presentation is captivating. This Ice Hill Mojito Sphere comes in three refreshing choices of Watermelon Mojito, Orange & Mint Mojito as well as Lime & Mint Mojito. Of the three, my preference is the Lime & Mint Mojito which has the right amount of tang in it plus really refreshing as well. 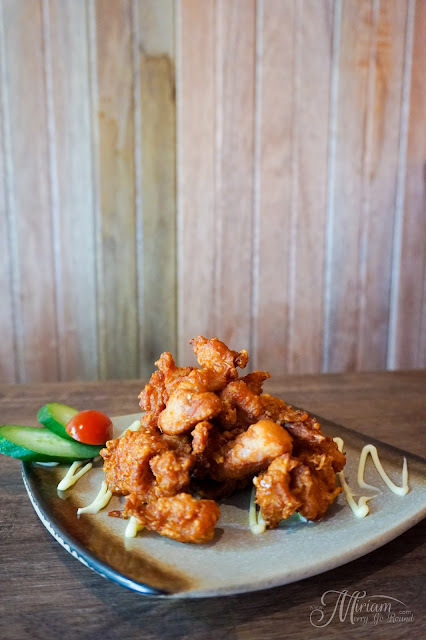 For some appetizers, we were served with Tori Kaarge (RM11.90). This simple appetizer has tender thigh and drumstick chicken pieces which were marinated and deep fried. Still moist and tender, it was not overly oily and was a good starter to our meal. 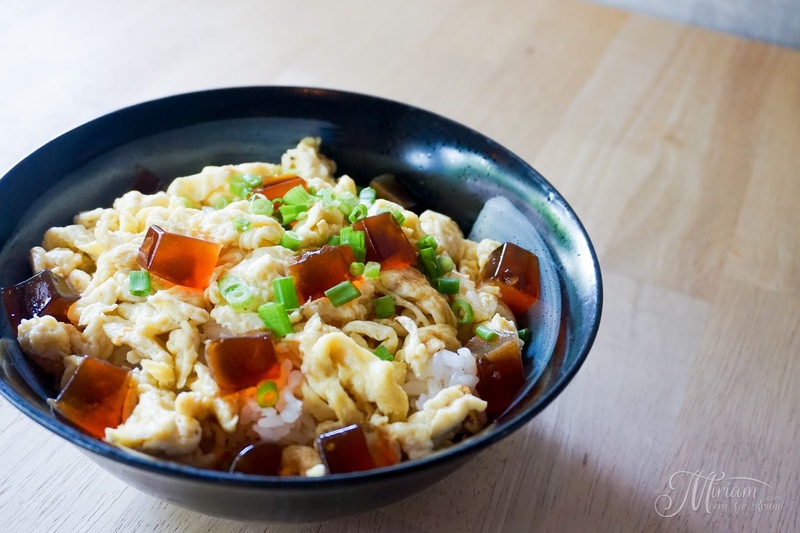 Next up we have the Egg with Jelly Furitake Don (RM14.90). The element that intrigued me was the jelly furitake which was a special concoction by Chef Nexus. He used the combination of chicken wings, shoyu, mirin and sake over long boiling hours to transform it into a tasty and savoury jelly collagen. 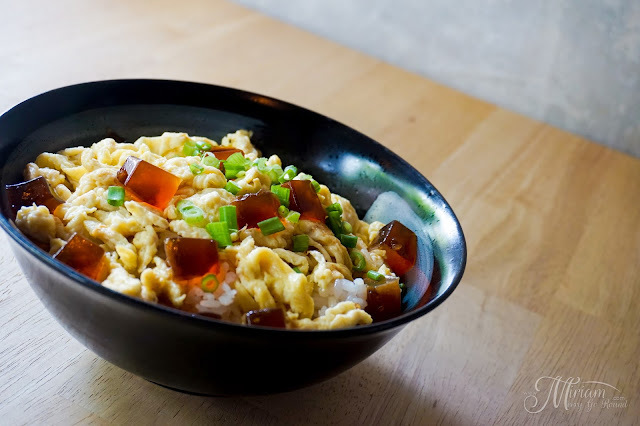 The jelly furitake just melts with the warmth of the fluffy scrambled egg and Japanese rice. This don reminds me of a good comfort food when I want something simple and satisfying. For those who are looking for a porky option, you can try their Chashu Don (RM19.90). 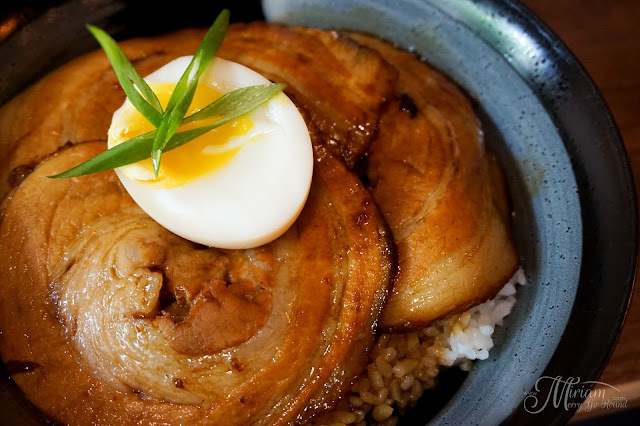 This don is served with a generous amount of juicy and tender braised pork belly on top of warm Japanese rice and topped with a half an egg. 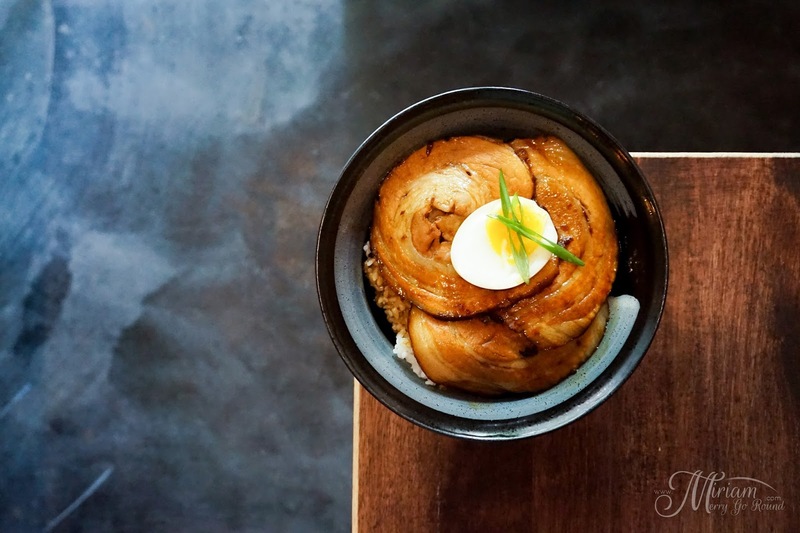 Although slightly salty and fatty for my preference, this bowl is definitely very filling. Fans of Japanese curry can try their Japanese Curry Tori Katsu Rice. 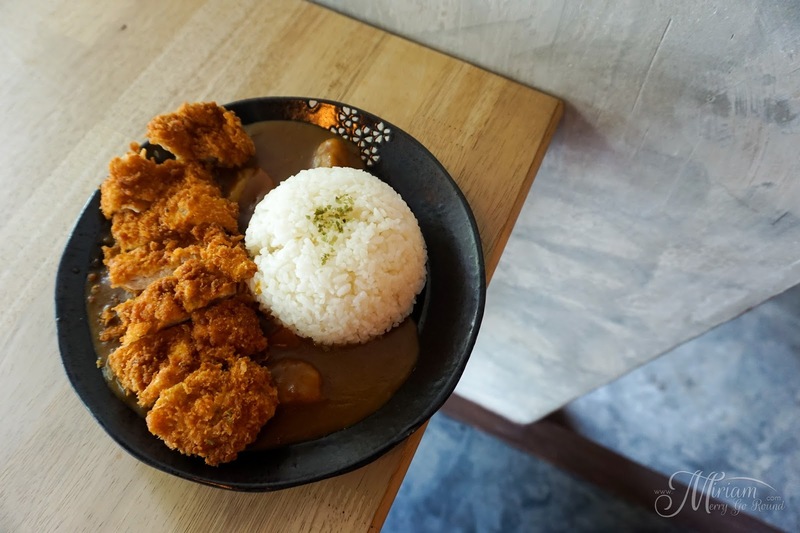 Served with their signature Japanese Curry is their Chicken Katsu which has deep fried breaded chicken thigh and Japanese rice. 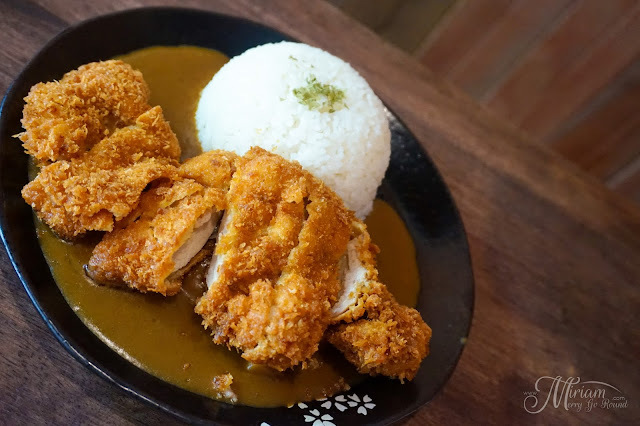 Sweet and creamy, the Japanese curry is quite enjoyable. Let me know if you are a fan of Japanese curry. 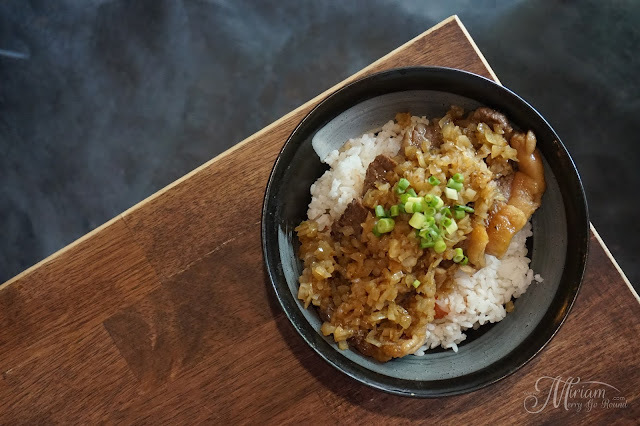 I definitely had a field day with rice that day as I was served with another rice bowl which is the Chaliapin Steak Don (RM22.90). 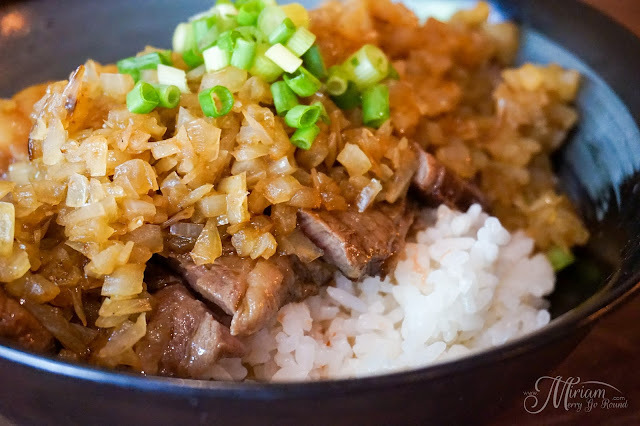 Marinated pan fried beef steak was served on top of steaming Japanese rice and served with preserved Japanese plum. 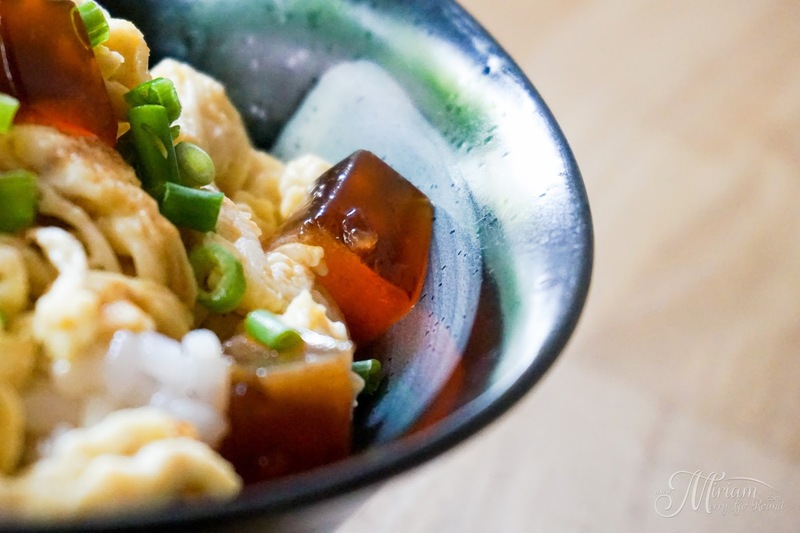 This was an interesting mix of flavor although the preserved plum overpowered the overall taste of the dish. This dish was slightly heavy handed on the amount of salt as well so unfortunately, I didn't enjoy this dish as much. Chef Nexus did take note on our feedback so I do think it would be much more enjoyable. 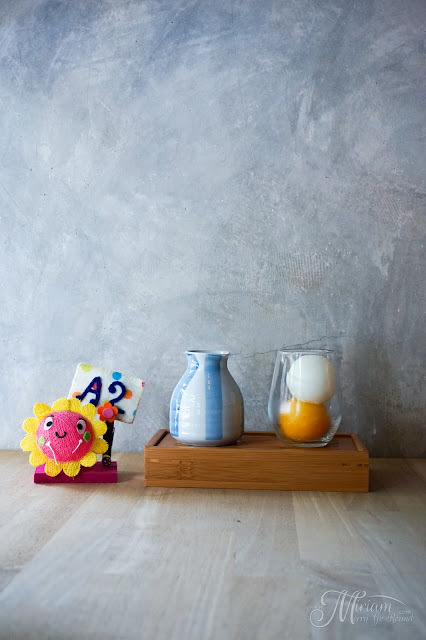 Although our tummies were definitely filled on rice, there is always space for desserts. 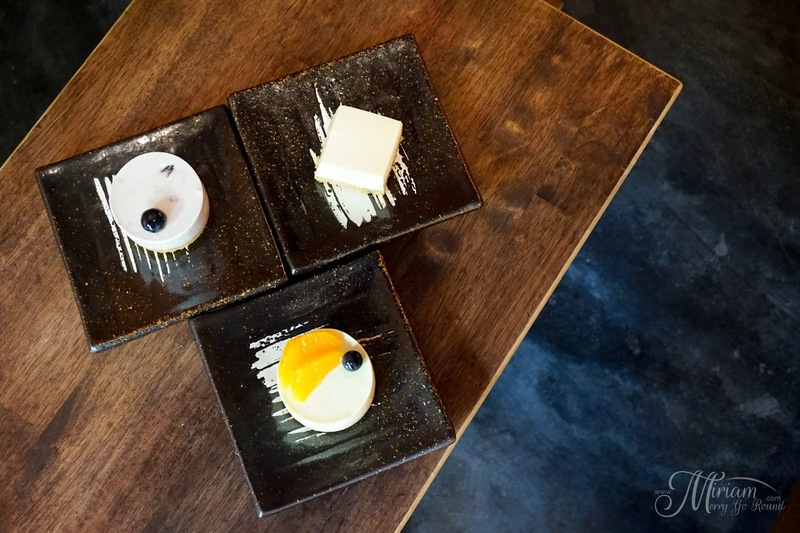 While waiting for our water mochi to be prepared, we tried some of their Japanese cheese cakes which were really delectable. 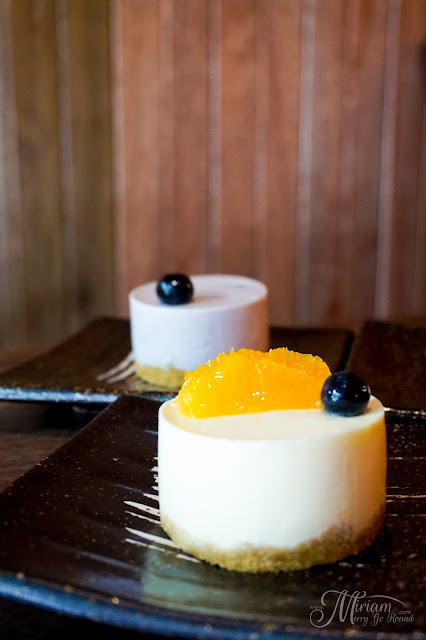 With three different choices, you can opt for the Orange Cheese Cake, Blueberry Cheese Cake and the Tofu Cheese Cake. My recommendation? The Tofu Cheese Cake which was light and airy, still smooth and creamy and definitely pleasant on the tongue. The biscuit base had just the right texture and complemented the whole cake well. Now for the reason I had always wanted to visit this cafe. 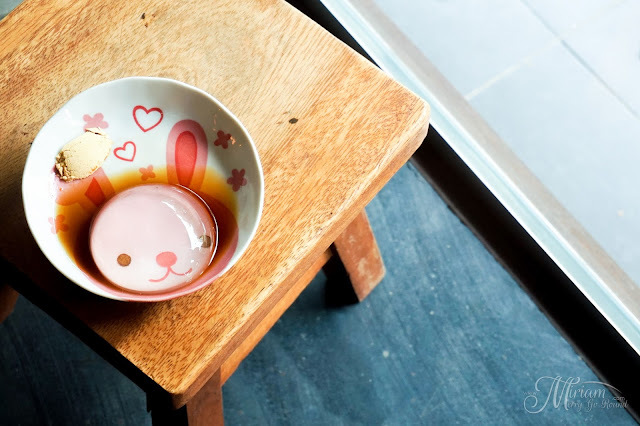 The Mizu Shingen Mochi (RM6.90) comes served in adorable plates which made me took tons of shots of them. 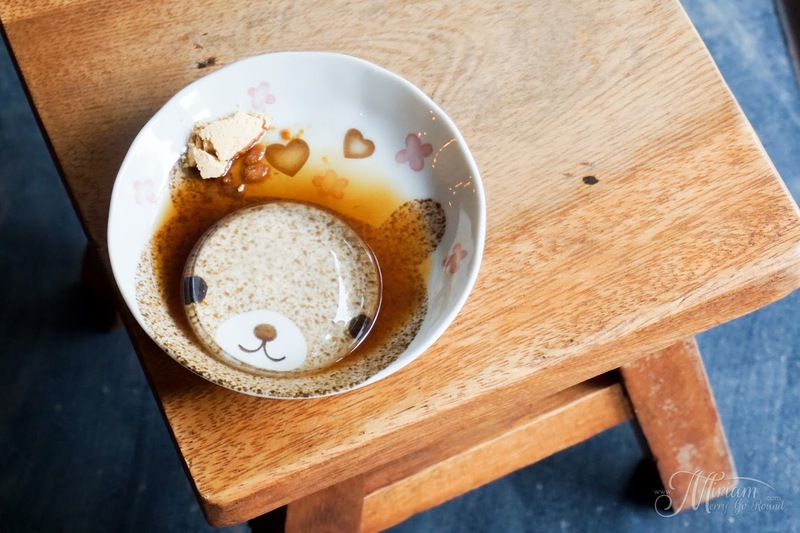 This Japanese-stule dessert is made from gyuchi served with kinako soybean powder and brown sugar syrup. It had an interesting texture which was bouncy like jelly yet very light. 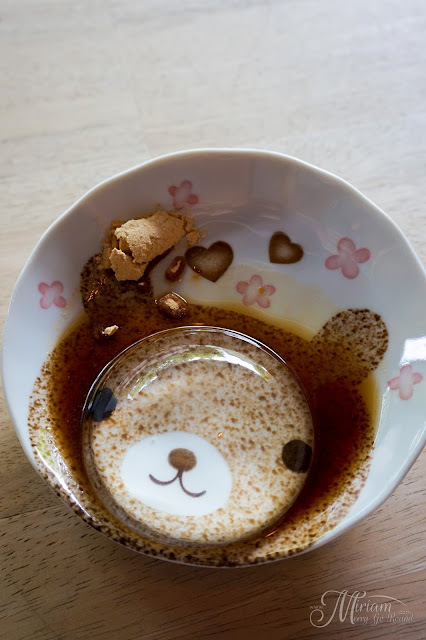 It does not have a specific taste to it so you have to pair it with the roasted soybean powder and brown sugar syrup to enjoy. 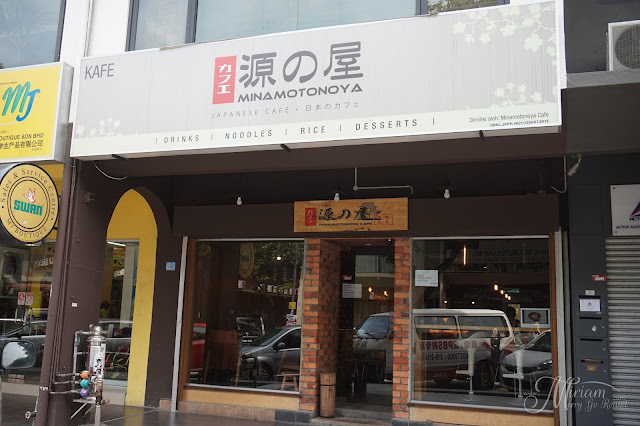 Overall, Minamotonoya Cafe gave me a pleasant dining experience and finally I tried the water mochi which was really interesting.